Onlangs kwam TV1 (Nieuw-Zeeland) met een reportage over de laatste expeditie van de de National Science Foundation naar de onderzeese vulkanen in Kermadische Boog, op zo'n 350 kilometer ten noordoosten van het Noordereiland van Nieuw-Zeeland. Op beelden van de hydrothermale bronnen op de krater van de Brothers vulkaan is te zien dat vissen en kreeftachtige dieren in de buurt van deze heetwaterbronnen leven. De watertemperatuur bedraagt daar meer dan 300° C. Wetenschappers geven aan, dat de eerste vormen van organisch leven ooit onder dergelijke omstandigheden zijn ontstaan. De caldera van de Brothers Vulkaan, gezien vanuit het zuiden. Wanneer de vulkaan voor het laatst tot uitbarsting kwam is nog niet duidelijk, maar sindsdien is er wel hydrothermale activiteit waargenomen, niet alleen tijdens het onderzoek in 2007, maar ook recentelijk door onderzoek van de National Science Foundation (NSF). Bron: New Zealand American Submarine Ring of Fire 2007 Exploration, NOAA Vents Program/Institute of Geological & Nuclear Sciences en NOAA-OE. ​The Brothers Volcano is a Pacific Ocean submarine volcano in the Kermadec Arc, 340 kilometres north east of New Zealand's Whakaari/White Island. Within its oval outline, which measures 13 km by 8 km, it contains a 3 km wide caldera with walls 300-500 m high. It is three times bigger than the White Island. A dacite (dacite lava's viscosity is in between rhyolite and andesite) dome rises 350 m from the caldera floor (which lies 1850 m below sea level), with a smaller dome just to its northeast. The caldera walls and the larger dome host numerous hydrothermal vents, which send plumes of hot water 750 m up through the water column. 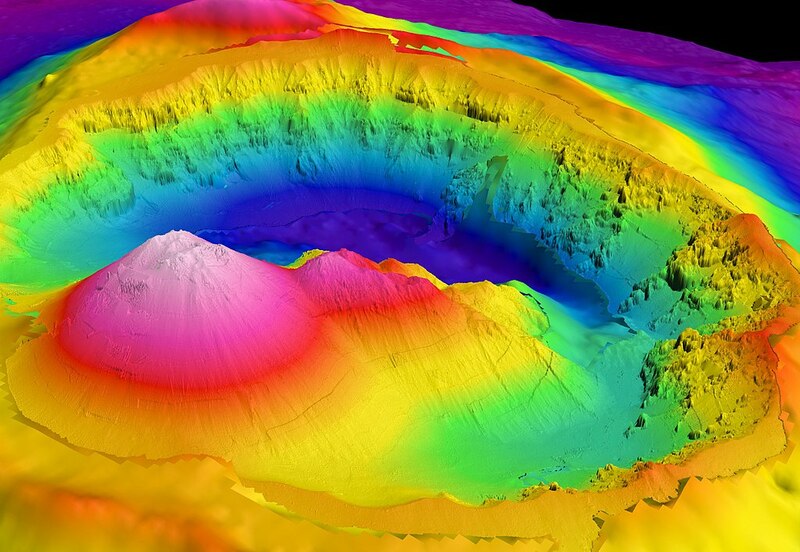 It is the most hydrothermally active volcano known in the Kermadec Arc. These hydrothermal vents are also known as hot springs and have created an 8 meter high field of "black smoker" chimneys. These chimneys are created when the hydrothermal fluids hit the cold water and the chemicals in solution are deposited. The hydrothermal fluids are an energy source to many unique organisms like tubeworms and other bacteria. 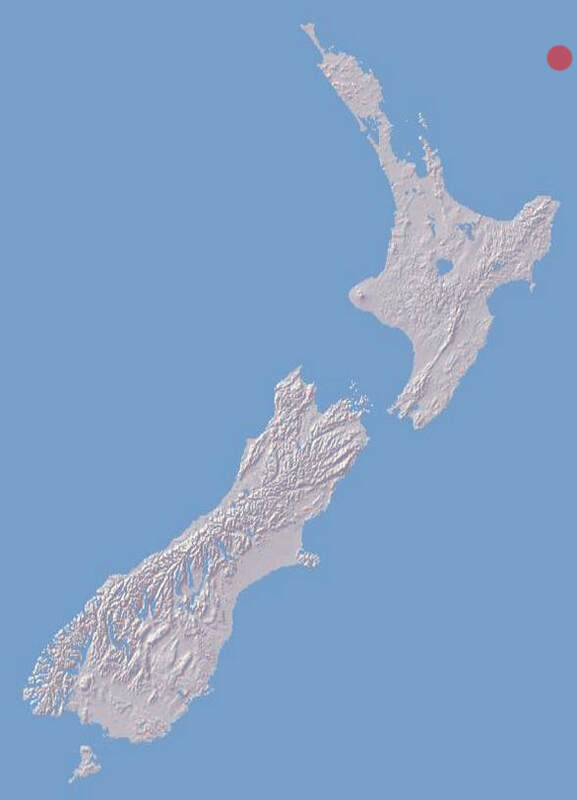 The marine life and minerals found from these chimneys are beneficial to New Zealand's economy and biotechnology industry. The volcano was created by a subduction of the Pacific Plate under the Australian Plate. It is still unknown when the Brothers Volcano last erupted, but the crater walls tell us that its last eruption was so explosive that it caused the volcano to blow out a caldera. A joint expedition by the United States, New Zealand and Germany mapped the volcano in detail in 2007.